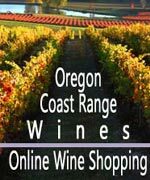 (Oregon Coast) – Sunday, May 8 is Mother's Day, and it will be a weekend packed full of adventures for mom on the Oregon coast. Food, antiques, tours and even an audition for the Survivor TV show are just some of the possibilities for fun that weekend. 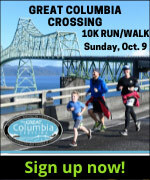 Most events here happen on Saturday, unless otherwise noted. For places to stay, you'll want to make your reservations now as this weekend often fills ups fast. Here's a look at the best places to stay for Mother's Day weekend. May 7 features a Special Glass Drop in Celebration of Mother’s Day in Lincoln City. This time around, 100 glass art pieces will be hidden along the seven miles of public beach in town, from the Roads End area to Siletz Bay. You find them, you keep them. See www.oregoncoast.org/finders-keepers or call 800-452-2151. Also on Saturday, the Culinary Center in Lincoln City has the Mother’s Day Demo, going from 11 a.m. to 2 p.m. Cost is $60 per person, includes meal and wine. 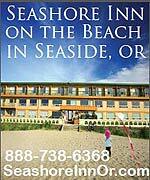 541-557-1125 or visit www.oregoncoast.org. It may not necessarily be a mom-thing-to-do, but the CBS show Survivor hosts auditions at Chinook Winds Casino Resort on this day at 10 a.m. – 4 PM. Join KOIN 6 News at the open casting call for the hit CBS show. (888) 244-6665. Just east of Newport, Toledo holds its Antiques and Collectibles Sale. This starts on Thursday on ends on Saturday. 8 a.m. to 4 p.m. Trinity United Methodist Church, Toledo, Oregon. In Nehalem, The day before Mother's Day has the Plant & Flower Sale at 9 a.m. at the Nehalem Bay Fire & Rescue Station. Get your seeds, starts, annuals, perennials, and more. Master gardeners on hand to answer all your planting questions. 35900 8th St. Nehalem, Oregon. Just down the highway is the big celebration: Nehalem Valley Farm Trust Farm Bus Tour & Dinner. Here, you get on a bus and visit farms around the Nehalem Valley. After the farm tour, you'll be served local food, prepared by skilled chefs, much of it sourced from those same farms. You will be visiting two locations and you'll meet the owners of six different farm and food businesses. The bus leaves from the White Clover Grange at 4 p.m. on Saturday. Park at the historic White Clover Grange in Mohler (near Nehalem and Wheeler, Oregon). www.NVFT.org. Sunday, May 8 features a special Mothers Day Lunch Excursion aboard the Oregon Coast Explorer Train at Garibaldi. This one will undoubtedly get sold out quickly, so you may want to look towards Father's Day in June. It's a three-hour scenic excursion along the north coast with the whole family. 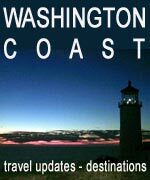 The excursion offers scenic views of the Tillamook Bay, Pacific Ocean, and Nehalem Bay, and scenic beach communities with a catered lunch to enjoy along the way.